Allen Iverson’s money troubles have been well documented since his playing days ended and they continue to get worse by the year. 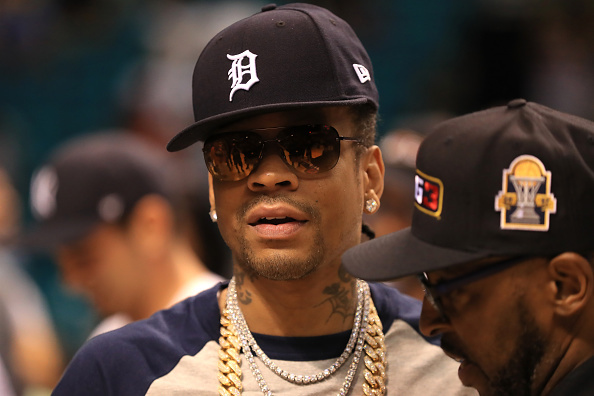 Just months after he lost his third home to foreclosure, the Philadelphia 76ers legend is back in the news once again after the Georgia Department of Revenue recently hit him with a tax lien, claiming Iverson owes taxes for the years 2012-2013, according to the Blast. Iverson’s money issue will end when he gets a $32 million trust fund that Reebok has for him that he can’t access until he turns 55 in 2030. Unfortunately, he won’t get the full amount after he made an agreement with his wife Tawanna back in 2010, in hopes of keeping his marriage alive, that was centered around the trust fund. Must speak to therapist about drinking and gambling problems. As you can tell, he did not live up to those terms and Tawanna re-filed the divorce petition and was awarded everything. Just before the divorce was set to become final, Tawanna had a change of heart and agreed to give Iverson half of the $32 million Reebok trust.